I did another maternity shoot a few weeks back for our dear cousin Jeno and his fiance’ Solida. She was about 3 weeks away from delivery, yet it was a good thing we did the shoot the weekend we did — she delivered Baby Andre seven days later! All three are doing great! 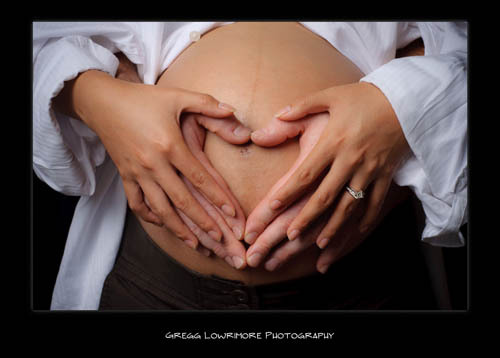 Posted in Portraits and tagged baby, maternity, Solida by greggl with no comments yet. 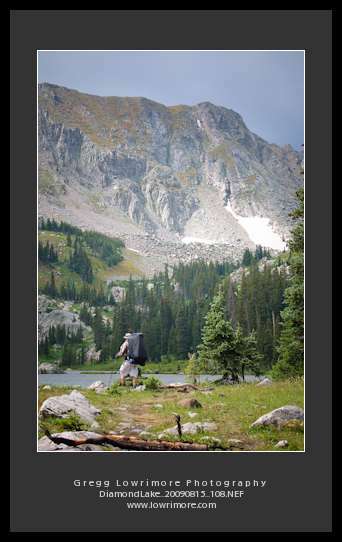 This past weekend, my buddy Chris and I backpacked in to Diamond Lake, located in the Indian Peaks Wilderness area west of Boulder, Colorado. 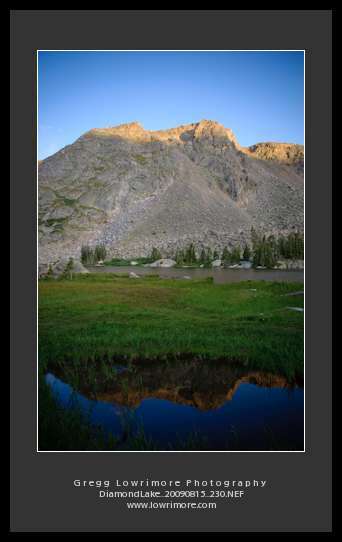 We planned on a short overnight trip to take in the beauty and fishing at this high alpine lake located near 10,800 (sub-alpine by Colorado terms). We’ve been there before, about 6 years ago and about a month earlier in the summer. Checking the weather reports, we learned that we’d be camping without campfires in about 34 degrees (in August! ), so we were prepared for a little chill both at camp and out on the water in our belly-boats. Long story boring, we ended up having a great time, catching a ton of Cutthroats and some hybrid trout that looked a lot like California’s native Golden Trout, in the range of 8-14 inches, on Adams and BWO dry flies, and olive green woolley buggers. Here are a few images that I managed to capture while not fishing. Posted in Landscapes and tagged backpacking, cutthroat, Diamond Lake, fly fishing, hiking, Indian Peaks Wilderness, panorama, trout by greggl with no comments yet. My little girl, Sofia, discovers real sunflowers for the first time. This was taken last night at my twilight sunflower shoot with Bill Knoche. Nothing fancy, just Sofia and a couple of Sunflowers. 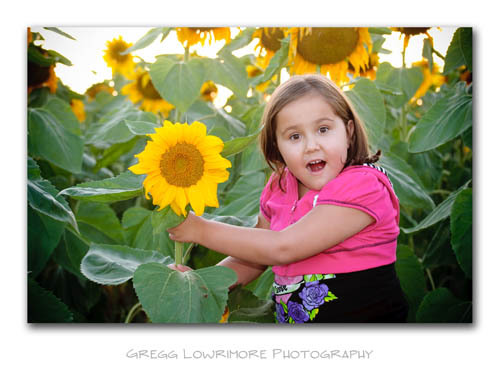 Posted in Portraits and tagged Sofia, sunflowers, yellow by greggl with 1 comment.